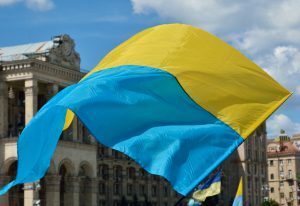 Thirty percent of Ukrainians in areas controlled by the Kiev government support granting official status to the Russian language, according to a new survey. The poll, conducted by the Ilko Kucheriv Democratic Initiatives Foundation, found that 54.4% of Ukrainians were against Russian becoming an official language and another 15% of the respondents found it difficult to answer the question. Four years ago, a similar survey found 32.2% of respondents in favor of Russian being official, and in 2016, the figure decreased to 30.3%, the survey noted. The poll was carried out in July among 1,800 people in various parts of Ukraine with a less than the 2.3-percent margin of error. In war-torn eastern Ukraine, people were surveyed only in areas controlled by Kiev. In 2014, the Ukrainian parliament (Verkhovna Rada) ruled that the Russian language’s official status in 13 out of 27 of the country’s regions was no longer valid. In January 2017, the Verkhovna Rada passed the “official language” bill which stipulates the sole use of the Ukrainian language in all official communications. According to the bill, the Ukrainian language must be used by government and local authorities, and all educational establishments. Previous articleCan Putonghua Relieve Poverty?